Showing recent results 3631 - 3645 of 4364 products found. ADE9000 - Analog Devices Inc. The ADE9000 is a highly accurate, fully integrated energy-metering device. Interfacing with both current transformer (CT) and Rogowski coil sensors, the ADE9000 enables users to develop a three-phase metrology platform, which achieves high performance for Class 1 through Class 0.2 meters. Power quality features enable advanced meter designs with fast rms measurements and power quality level monitoring for EN50160 compliance. The ADE9000 integrates seven high performances ADC’s, a flexible DSP core. 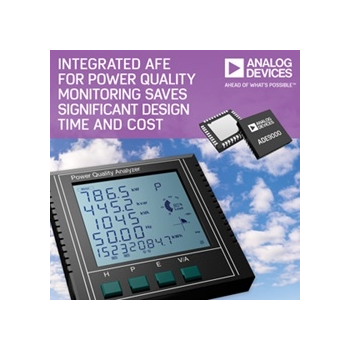 An integrated high-end reference ensures low drift over temperature with a combined drift of less than ±25 ppm/°C max for the whole channel including PGA and ADC. PC Suite - Radian Research, Inc.
You can know the load on an electric motor by measuring the electric current going to the motor (Amps). But, this is not the best way to do it since a lightly-loaded motor doesn't use the electricity very efficiently. (In technical terms, the power factor is low. )A better way to know the load is to measure the motor power. (Power is measured in Horsepower or Watts.) Motor power gives you a straight line so it works well even when the motor is lightly loaded.The Power Sensors that we make measure the motor load (Horsepower or Watts) and send a signal to meters or computers. The operator can see what the status is on the meter or, the computer can make decisions. An ammeter is a measuring instrument used to measure the electric current in a circuit. The majority of ammeters are either connected in series with the circuit carrying the current to be measured or have their shunt resistors connected similarly in series. 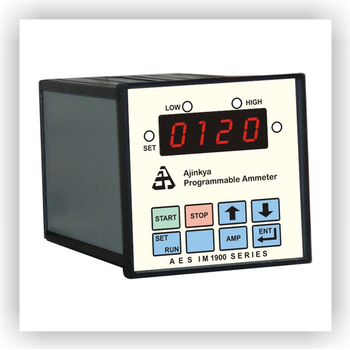 We manufacture Programmable Ammeters, which are DC current indicators with High and Low alarm limits. 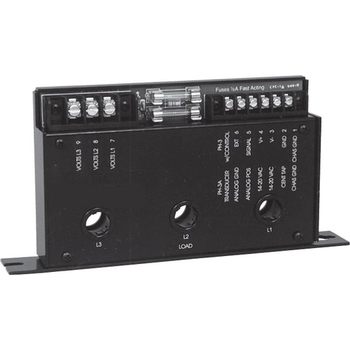 These ammeters are acknowledged for their smooth functioning, reliability and high efficiency. Moreover, these are available with various features like peak hold, retransmission output, MODBUS serial PC Interface. Other models available are: Ampere hour meters / Watt meters / Current Voltage loggers etc. The PFC-252 includes Prostat's PRS-812 Resistance System Set with modified 5 pound conductive rubber electrodes and Prostat’s Cable Spacers for exact measurements. The PRS-812 wide range resistance system can take measurements at 10 and 100 volts with accuracy within ±5%. Also included is the PFK-100 Field Meter Set. 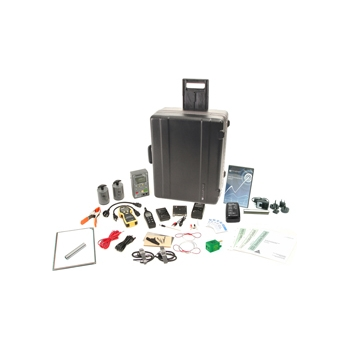 The PFK-100 set includes Prostat's unique PFM-711A dual range field meter, CPM-720A charged plate monitor assembly and PCS-730 ±1 kv charging source. 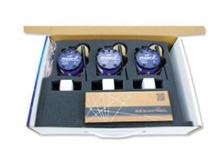 With this instrument set you can measure electrostatic fields, analyze ionizer performance and assess the voltage generation of materials, equipment and personnel. The new Keysight 8160xA tunable laser sources are based on a common cavity and laser module design. They share a narrow line width and a low spontaneous emission level that, in combination with the Keysight N774xA multiport power meters, or the Keysight 816xxx power meter modules, enables excellent spectral loss measurement ranges in both stop band and pass band. A built-in gas cell and self-adjustment capabilities ensure excellent long-term stability to minimize cost of ownership. Within the 8160xA family, the value and basic line models offer additional price-performance options based on output power, tuning modes and speed, wavelength accuracy and repeatability. Powermetrix is pleased to introduce a revolutionary hand-held field testing device for the electric utility industry. 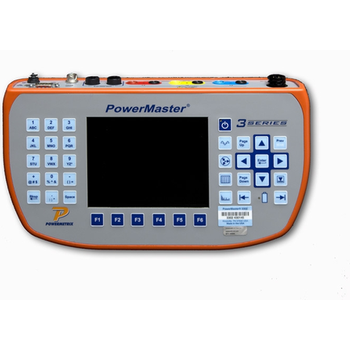 The PowerMaster 3 Series is an ultra-compact field instrument with a true 3-phase analyzing reference standard that performs various metering site accuracy tests. This analyzer operates under actual customer load conditions so a true representation of site accuracy can be verified. Meter Testing, CT/PT ratio testing, CT/PT burden measurement, meter register/demand testing and wiring verification are all easily performed with this extremely portable, hand-held analyzer. With many advanced features, this new pint-sized analyzer is revolutionizing field testing as we know it. The new Keysight 8160xA tunable laser sources are based on a common cavity and laser module design. They share a narrow line width and a low spontaneous emission level that, in combination with the Keysight N774xA multiport power meters, or the Keysight 816xxx power meter modules, enables excellent spectral loss measurement ranges in both stop band and pass band. A built-in gas cell and self-adjustment capabilities ensure excellent long-term stability to minimize cost of ownership. Within the 8160xA family, the Value Line and Basic Line models offer additional price-performance options based on output power, tuning modes and speed, wavelength accuracy and repeatability. 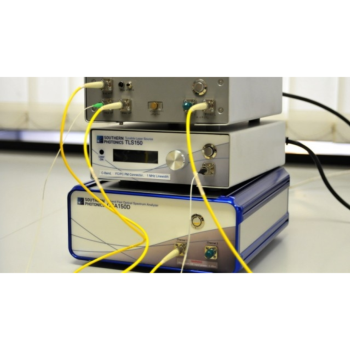 Southern Photonics designed and manufactured all the test equipment currently being manufactured by Coherent Solutions, as well as equipment for non-telecoms applications. This includes FBG strain interrogators, optical pulse phase analysers, OSNR meters, optical power meters, optical spectrum analysers, optical gas sensors… you get the idea. All test equipment we build is robust and easy to use. The picture shows some of what we can do – anything from prototype benchtop test gear (as in the combination ASE source and laser combiner on top of the stack) to field test equipment (the portable fast OSA on the bottom). The bundle provides everything you need: the sensors (including vibration), the wireless nodes, and the Cellular network gateway.Embedded magnets make mounting fast and easy.Robust network security and VPN tunneling capable.Wide temperature specifications and a rugged, outdoor-rated, industrial design.Wzzard nodes automatically create an alternate path to the network gateway if a node is disconnected. Individual nodes don’t need to be within direct range of the network gateway. They can route their data across fellow nodes.Up to 32 Wzzard Nodes and 96 individual sensors can be deployed in a single mesh network.Range is up to 100 meters indoors and up to 500 meters outdoors. 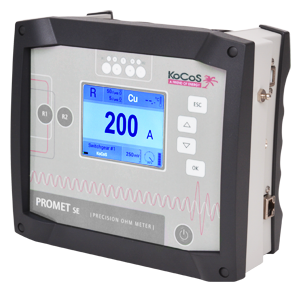 PROMET 100 / 200 / 600 high-accuracy, precision ohm meters deliver an adjustable test current up to 600 A which is independent of the supply voltage. They utilize the four-wire resistance measurement method, enabling them to meet extremely stringent accuracy requirements when determining resistance values in the micro-ohm range.State-of-the-art power electronics coupled with a robust design guarantee maximum reliability, even when used as portable devices in switching stations or industrial environments.The modern operating concept, an interface to the test systems of the ACTAS product line and an optional remote control unit make these micro-ohm meters flexible and versatile. The 72-7770 CAL D from Tenma is a palm sized digital multimeter with 3 3/4 digit LCD. It is 3 1/2digits with steady operations, fashionable design and highly reliable hand held measuring instrument. The meter measures AC/DC voltage, AC/DC current, resistance, temperature, diode and continuity. It is an ideal tool for maintenance. 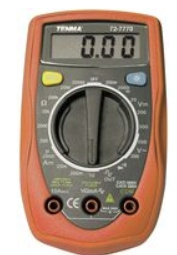 The multimeter features square wave output, data hold, low battery indicator and display backlight, This meter complies with the standards CE, IEC61010, in pollution degree 2, overvoltage category (CAT I 600V, CAT II 300V) and double insulation. The 72-7770 CAL from Tenma is a palm sized digital multimeter with 3 3/4 digit LCD. It is 3 1/2digits with steady operations, fashionable design and highly reliable hand held measuring instrument. The meter measures AC/DC voltage, AC/DC current, resistance, temperature, diode and continuity. It is an ideal tool for maintenance. The multimeter features square wave output, data hold, low battery indicator and display backlight, This meter complies with the standards CE, IEC61010, in pollution degree 2, overvoltage category (CAT I 600V, CAT II 300V) and double insulation. 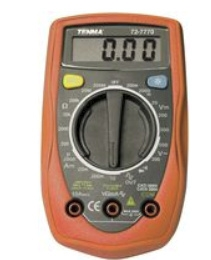 The 72-7770 CAL DU from Tenma is a palm sized digital multimeter with 3 3/4 digit LCD. It is 3 1/2digits with steady operations, fashionable design and highly reliable hand held measuring instrument. The meter measures AC/DC voltage, AC/DC current, resistance, temperature, diode and continuity. It is an ideal tool for maintenance. 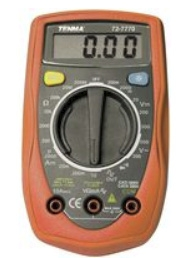 The multimeter features square wave output, data hold, low battery indicator and display backlight, This meter complies with the standards CE, IEC61010, in pollution degree 2, overvoltage category (CAT I 600V, CAT II 300V) and double insulation.